If the goal was just to avoid past mistakes, the BPL’s third edition was a success. However, Bangladesh’s domestic T20 tournament should be about a lot more than just paying the players on time. If you enjoy watching the ball dominate over the bat, the BPL would have made for fun viewing. The tired and soft pitches at the Shere Bangla National Stadium in Mirpur, where 26 out of the tournament’s 34 matches were held, constricted most of the strokeplay but players like Kumar Sangakkara, Tamim Iqbal and Mahmudullah rode out difficult periods and thrived on several occasions. Attackers like Lendl Simmons and Tillakaratne Dilshan underwhelmed by failing to adjust to the conditions, while Marlon Samuels, Imrul Kayes and Jahurul Islam changed their ways and batted with renewed purpose. The bowlers were not given the advantage by design, but made the most of the conditions. Four of the top five wicket-takers were seamers. Rookie Abu Hider and the steady Al-Amin Hossain went toe-to-toe with seasoned T20 performers like Kevon Cooper and Thisara Perera. In the last two BPLs, three of the top five wicket-takers were spinners. This time, it was Shakib Al Hasan who was the lone spinner in that list. Also heartening to see – and there were not many aspects like that in the 2012 and 2013 tournaments – was Bangladeshi batsmen who had been considered has-beens, showing a lot of fight. 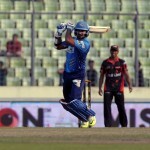 Alok Kapali was the hero of the final, Rangpur Riders relied much on Jahurul Islam, and Shahriar Nafees showed glimpses of the player he was back in 2006. 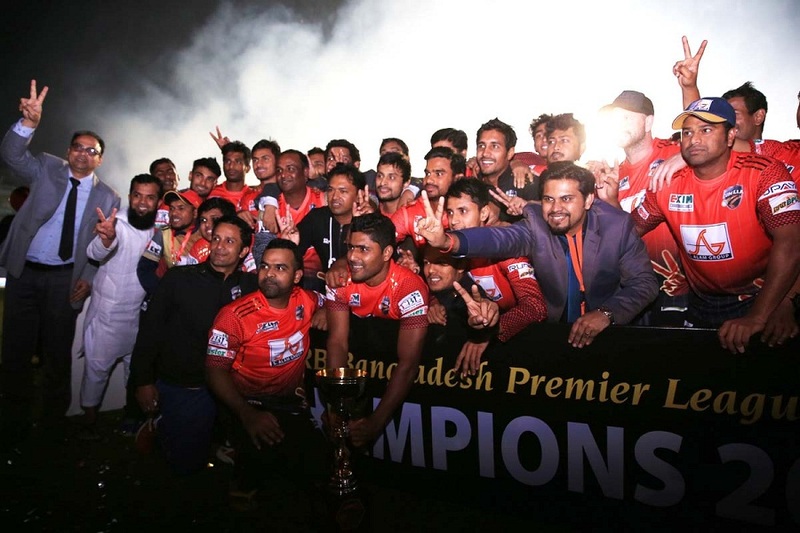 The BPL was held in November-December to help the Bangladesh players prepare for the Asia Cup and World T20. Soumya Sarkar and Nasir Hossain struggled, but Sabbir Rahman’s return to form, and the smoothness of Tamim and Imrul Kayes will no doubt boost the team come March. Even for a few of the overseas players, the BPL was worth the effort. Comeback kid Mohammad Amir is back in the reckoning for Pakistan, while journeyman Ashar Zaidi will be hoping to get a big deal at the Pakistan Super League. The BPL was held in the backdrop of two series being postponed due to terrorism threats, and the fact that 65 players and six high-profile coaches felt safe enough to travel to and play in Bangladesh has also made the BCB happy. Nazmul Hassan, the BCB president, said Bangladesh were mindful of not repeating previous errors, and felt that the timely payment of players’ fees was a major accomplishment. “We were very careful when holding the third BPL of not repeating the old problems,” Hassan said. “During this year’s tournament, we haven’t heard of anything like it had happened in the last two seasons. This was a much more disciplined tournament. Teams have made timely payments. Hassan said he wanted to see an additional franchise and venue for next season, and jokingly described the BPL as a “pain” given how the 2013 edition was mired in controversies. “It wasn’t an easy decision to leave out some of the franchises. The BPL was a painful event when I took over at the BCB. The franchises used to commit to us repeatedly that they would pay, but didn’t give us the money. We had to manage so many of such things. There was fear of match-fixing and players’ payment. The system that Hassan is talking about should ensure proper paperwork for players’ No-Objection Certificates, and ensuring that the board outlines more discipline among the franchises. 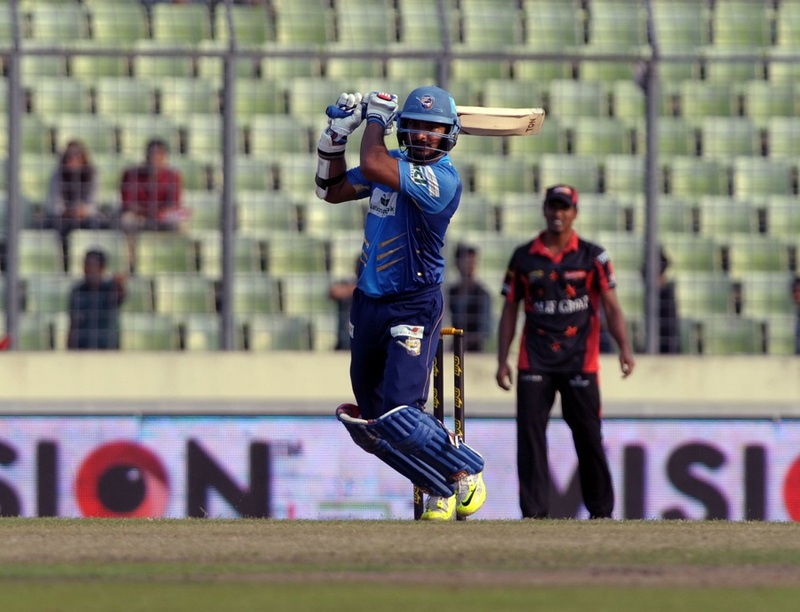 The BCB had warned the Dhaka franchise owner for rushing into the Mirpur stadium’s premises with more than a thousand people, but their disciplinary committee has not yet submitted the report regarding Tamim’s allegations from the Sylhet-Chittagong game. Hassan said the BCB earned Tk 25 crore (approx USD 3.2 million) and while the BPL was not a rousing success, it was also not a run-of-the-mill T20 tournament. It was a competition where bowlers made the batsmen hop around, but the batsmen also made their presence felt by staging dramatic fight-backs.